The statistic depicts the leading banks in the United States as of December 31, 2017, by number of employees. Wells Fargo Bank was the largest U.S. employer in the banking sector in 2017, with over 230 thousand employees. Apart from the Wells Fargo Bank, other leading banks in terms of employment in the United States in 2017, were JPMorgan Chase Bank, Citibank and Bank of America. As far as the global employment figure of JPMorgan Chase Bank is concerned, there were approximately 234.36 thousand employees in this bank in 2016. In Wells Fargo, there were approximately 269.1 thousand people employed worldwide in the same year. 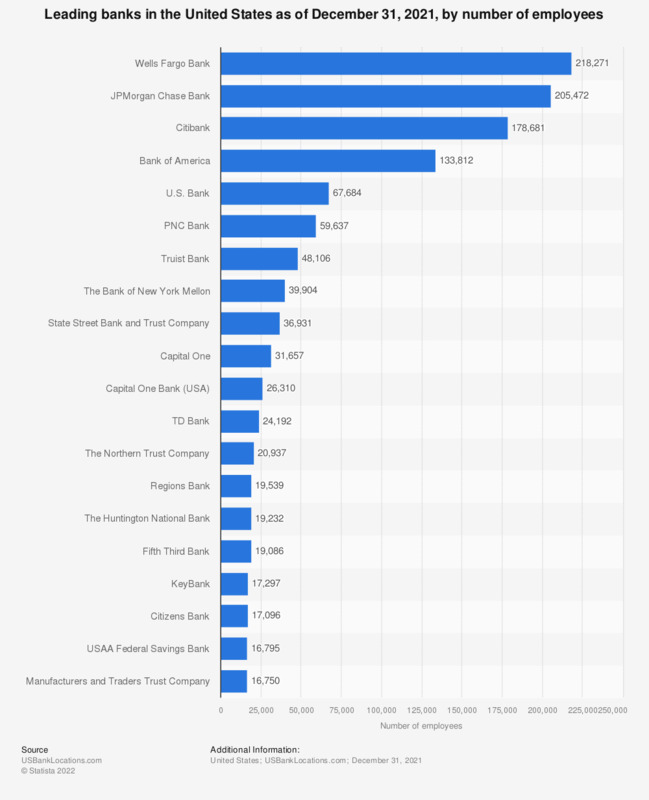 These are two of the largest U.S. banks when measured by total assets. The total number of employees in the commercial banking sector of the United States increased from approximately 1.53 million in 2010 to around 1.51 million in 2015. The insurance sector in the United States (home-office personal), on the other hand, had 348.3 thousand employees in 2016. Which of the following customer segments present the greatest growth opportunity for your bank?